Expect intense and incredible sensory experiences when you visit India. With centuries of history, fascinating traditions and cuisine, and incredible architecture, India is a magical place to discover for yourself. Meet the friendly locals in the bustling cities of Mumbai (BOM), Delhi (DEL), and Hyderabad (HYD), or head to the mountains or the beaches for some outdoor adventure. 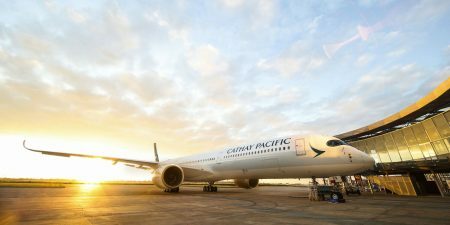 Let Cathay Pacific get you to India in style. Enjoy comfortable aircraft, innovative cuisine, in-flight entertainment, and top-notch service when you fly to India. India has much to offer that it can almost seem hard to get started. A visit to India isn’t compete without a trip to the iconic the Taj Mahal. Immerse yourself in the historic empire of Delhi, a sprawling city with a mix of old and new. Sunbathe, relax, and take a yoga class in one of the many beach-side retreats in Goa. Spot some Bollywood stars in the film-obsessed city of Mumbai. For a unique experience, take a houseboat along the serene and stunning backwaters in peaceful Kerala. Book your flights to India with Cathay Pacific and enjoy Asia’s premier airline.